John Boughton, author of the book and blog Municipal Dreams, introduces WHQ’s special feature on council housing with a look back to 1919. Lloyd George may never have uttered the words ‘Homes for Heroes’ (though he did just 12 days after the Armistice promise to ‘make Britain a fit country for heroes to live in’) but the phrase rapidly entered national folklore. [i] And in the Housing and Town Planning Act of 1919 it seemed – rather briefly as it turned out – that the promise would be kept. The Act (better known to many as the Addison Act after Christopher Addison, the energetic and idealistic Liberal minister of health and housing who oversaw its passage and implementation) required firstly that all local authorities survey local housing needs and, critically, that they prepare and execute concrete plans to address them. In key respects, in terms of legislative powers and a machinery of state, the 1919 Act built on existing forms but whereas just 24,000 homes had been built before the war, over 1.1 million would be completed before the next conflict. The requirement that councils build was a sea change. The second vital element of the 1919 Act was its insistence on quality. In this, the Report of the Committee Appointed to Consider Questions of Building Construction in Connection with the Provision of Dwellings for the Working Classes published in 1918 was central. It’s better known, of course, as the Tudor Walters Report. The report, largely authored by housing reformer Raymond Unwin, recommended – at a density of no more than 12 an acre – parlour homes with at least two bedrooms, ‘of cottage appearance’, with gardens front and back, with a bathroom and a larder. It reflected the Garden City ideals vigorously promoted by Ebenezer Howard before the war, and the early post-war estates came close to fulfilling Howard’s aesthetic ideals if not his dreams of self-sufficiency. The report was effectively codified in the official Manual in the Preparation of State-Aided Housing Schemes issued to councils in 1919 which provided the template for local schemes. It was this relative generosity – combined with the unexpectedly high cost of post-war construction in an era of labour and materials shortages and inflationary pressures (houses costing around £300 to £400 to build before the war were now coming in at well over £800) – that saw the programme scrapped after two years. Although Lloyd George had promised 500,000 new homes within three years, only some 213,000 were completed by 1921 when swingeing public spending cuts saw the programme axed. Addison himself resigned in protest and went on to a distinguished career in Labour ranks. The quality and expense of the new, so-called Addison houses also led to their comparatively high rents, confining them, with few exceptions, to the better-off working class. The attack on the slums and the wholehearted endeavour to rehouse the poorer working class who lived in them would wait till the 1930s. The Act itself had been anticipated. In July 1917, Local Government Board Circular 86/1917, Housing after the War, promised ‘substantial financial assistance from public funds’ to local councils prepared to implement approved programmes of working-class housing. Some authorities were suspicious, few were prepared. Swansea Borough Council was an exception. Its plans for a large new housing scheme had been scuppered – despite its protests – by the withdrawal of loan support in 1915. Swansea was able to dust off those plans and present a scheme for 500 homes by September 1917. The layout of the Townhill Estate which resulted, completed under the Addison Act, was, fittingly, the result of a pre-war design by Raymond Unwin. [ii]Across the country, the Local Government Board received proposals for around 42,000 local authority homes before the Addison mandate and its level of financial support were known. There were other anticipations too, notably in the schemes built by the Office of Works to house munitions workers in areas of housing shortage. 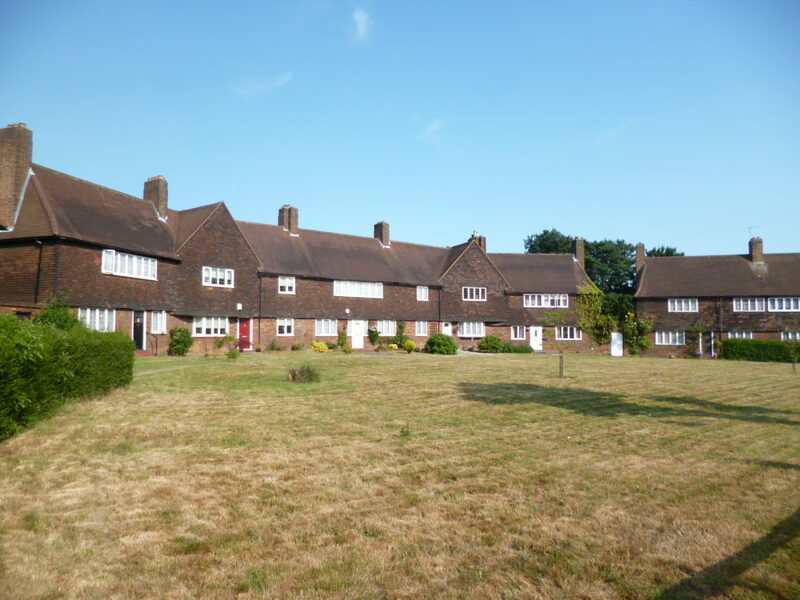 Here the Well Hall Estate in Eltham in south London near the Woolwich Arsenal stands out: 1,500 houses built in arts and crafts style and Garden City layout in the single year, 1915: a clear prefiguring and exemplar of the ideals and quality espoused by Tudor Walters. Those homes provide one pithy explanation of the causes and motivations of the 1919 legislation – war. The later ‘Homes for Heroes’ undoubtedly reflected a desire to reward those – those that survived at least but also the widows and families that remained – who had served in the First World War. But the overall politics was more complex. There was also a real fear of working-class unrest, given urgency by the unfolding story of revolution in Russia. That may have been alarmist but it was given some substance by a huge increase in trades unionism – membership rose from 4.1 million in 1914 to 6.5 million in 1918 – and the emergence during the war of a militant shop stewards’ movement. Behind this fraught politics lay the very practical reality of a free enterprise housing system in a state of near collapse. Housing maintenance and new construction had ceased as labour and materials were devoted almost wholly to the war effort. Addison’s speech referred to an immediate deficiency of some 350,000 working-class homes resulting from that cessation of new build before enumerating the huge numbers then living in unfit and overcrowded conditions. As supply and demand grew catastrophically out of kilter during the war, private rents increased until a rent strike erupted in Glasgow. By November 1915, it involved some 20,000 households. The Government responded by introducing rent controls (restricting rents to their pre-war level) in the following month. 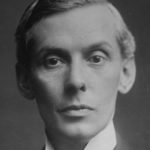 The legislation – extended after the war – protected wartime production but effectively ensured that builders and landlords lacked financial incentive to invest in the private rental sector when war ended. In this context, the necessity of state intervention was accepted as inevitable across the political spectrum. The Addison Act, then, reflected a rare and unique moment. A second world war and its aftermath would provide parallels but a more straightforwardly left-wing politics. In 1919, a broad consensus accepted both the necessity and desirability of a significant state role in house-building but the balance of those drivers varied – from those on the right who saw it as an unfortunate and temporary expedient to those on the left who believed the state’s role in providing decent and affordable housing proper and hoped it would be permanent. Although the liberal state assistance of the Addison Act was rapidly withdrawn and its design ideals diluted, it was those who advocated public housing – at least until 1979 – who won the day. The 1919 Act enshrined a belief in the state’s duty to secure decent housing for all and set a benchmark of quality that dominated housing politics for the next seven decades. For that legacy and for its lessons, which seem to many as relevant in the present as ever, we rightly celebrate the Act’s centenary this year. John Boughton is a social historian. His blog celebrating the efforts and achievements of early municipal reformers is at municipaldreams.wordpress.com and his book Municipal Dreams – the Rise and Fall of Council Housing is published by Verso. [ii] For this and more on Swansea’s early housing history, see Nigel Alan Robins, Homes for heroes: Early twentieth-century council housing in the County Borough of Swansea(City of Swansea, 1992). Images of the early Townhill Estate can be seen in a film produced by the Borough in 2010 and available on YouTube [https://www.youtube.com/watch?v=vfN71L_1yF8].